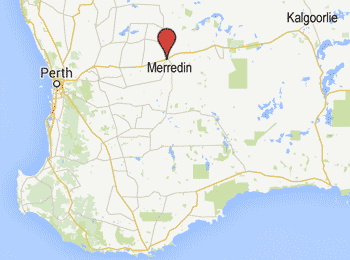 Merredin, with around 3000 people theses days, is an important wheatbelt service town mid-way between Perth and Kalgoorlie. In older days it gained importance not just for agriculture but with its strategic location en route to the flourishing goldfields. Railways played a large role in the area's history, so it seems appropriate that a museum be located in the old railway station building. 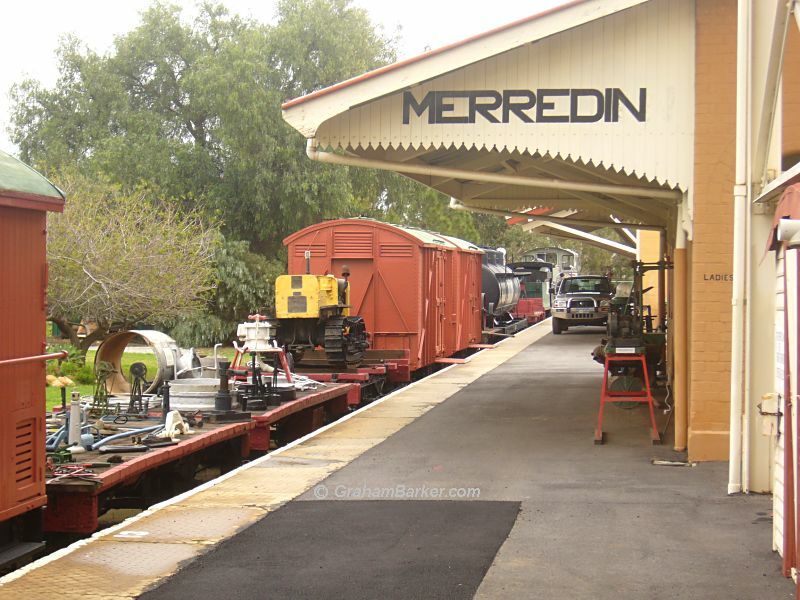 The Merredin Railway Station Museum is right near the centre of town - next to the main highway heading east but largely overlooked by the busy passing traffic. Upon entering and paying the small fee (adults $4 when I visited in 2009) you are given a little booklet which serves as a good guide to the museum. One of the impressions I left with was just how well organised and labelled the collection was. Whatever your level of interest may be, there is enough detail to feed it. Plenty of photos and written descriptions fill the rooms of the old station, including the early settler women’s room, but here they play a supporting role. Central to the collection is an abundance of diverse objects: genuine artefacts from the past. Most are connected in some way with the railways, but not all. 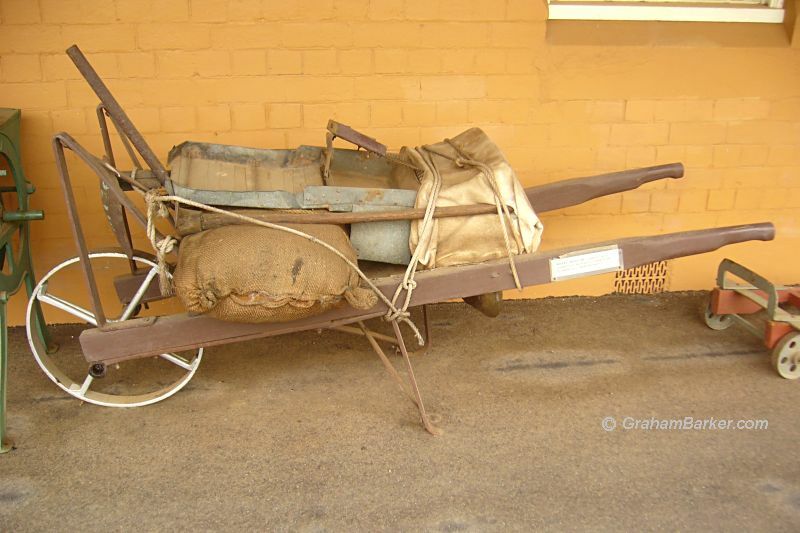 One which caught my interest was a wheelbarrow used by prospectors to haul their gear from Perth to the goldfields before the railways arrived. I'd read how they used to push their loads hundreds of kilometres across untamed land, but to see one of these heavy-looking wheelbarrows in real life gave me new respect for the challenges people faced back then ... and the difference the railways must have made. Outside, the platforms provide an open-air collection of larger objects. Parked on one railway track is an assortment of train carriages and engines, including a steam engine waiting to be restored. While I was there a bunch of children amused themselves happily pretending to be engine drivers. 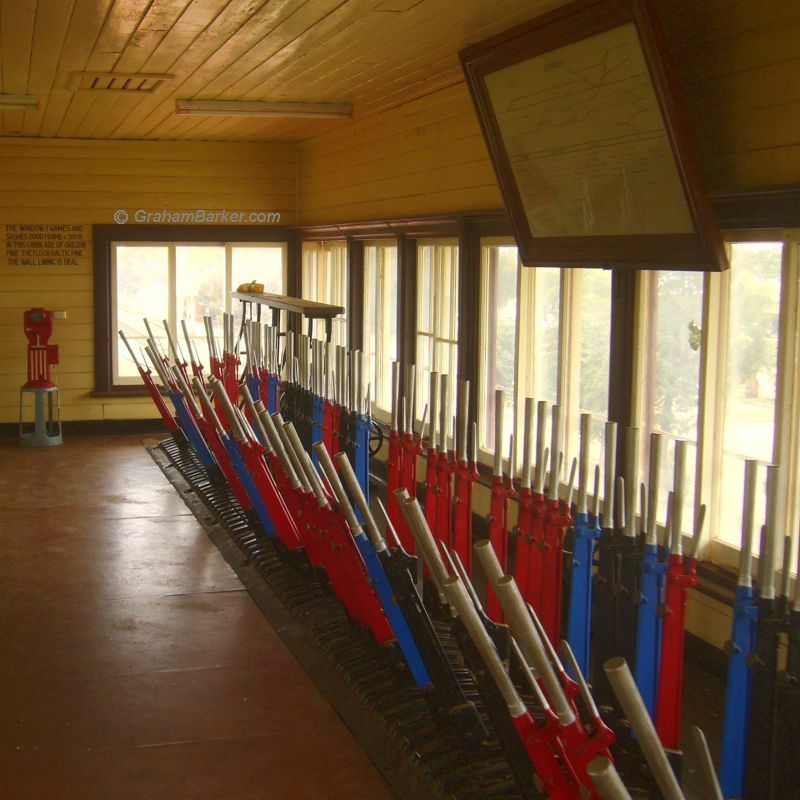 You can also climb up into the signal cabin where a mass of levers control the surrounding tracks, while catching a view of the town. Train buffs and boys of all ages will probably find this museum most appealing. However anyone with an interest in scratching beneath the surface to get a feel for the area's history should get something out of it. Check with the visitors centre in Merredin for current opening times.